The purpose of UEFA's Financial Fair Play ("FFP") rules is to ensure that clubs operate within their means and grow organically, in order to create a level financial playing field. In an era where players are being sold for over two hundred million Euros, without the buying club recouping anywhere near that sum, it is fair to say that this purpose is not being achieved. For this reason, UEFA are now considering introducing 'Fair Play 2.0', a revised version of the regulations which prevents the loopholes in the previous iteration of the rules from being exploited. It is likely that FFP 2.0 would impose a negative net spend limit of €100m, meaning that if PSG were to expend the €420m they did last summer, they would need to raise €320m through sales in that financial year in order to comply with the proposed rules. Under the current regulations, PSG simply need to show that they can recover the cost of the asset over its lifetime, for instance through sponsorships, shirt sales, image rights, etc. 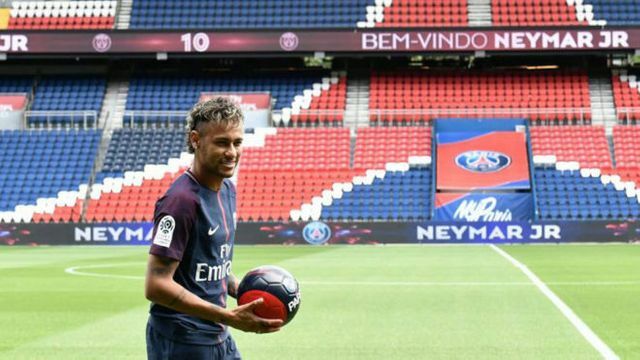 By amortising Neymar's transfer fee, they are unlikely to encounter any major difficulties in this regard. If a net spend limit were to be introduced under FFP 2.0, this would substantially impact the transfer policy of the European Superclubs. Another proposal being considered is a limit on the maximum squad size to 25 players. This would prevent clubs like Chelsea from stockpiling players (they currently have 32 players out on loan, which many argue to be anti-competitive). However, arguably the most important of the new proposals is the fact that UEFA may seek to refine its definition of 'related parties'. The 'related party' rules are designed to prevent clubs from artificially inflating their revenues in order to ensure compliance with FFP rules. By way of example, Manchester City have a £400m sponsorship deal with Etihad. The sum paid was criticised by some, who claimed it was disproportionate to the true value of such an arrangement (although UEFA investigated this and deemed the amount paid to be in line with market value). Etihad is wholly owned by the government of Abu Dhabi - which appears to have strong links to the ownership of Man City. This sponsorship deal was deemed to be outside of the definition of 'related party transaction' under the current FFP rules. If this definition is refined, however, such arrangements may be prevented in future and the big clubs' astronomical spending could well be curtailed by FFP, as they would be unable to rely on investment from entities that are connected to them, tangentially or otherwise. If the proposed measures are introduced, FFP could, finally, achieve its goal of ensuring that clubs operate within a financially healthy and fair framework. Financial Fair Play has once more become a hot topic of late as the transfer record continues to be broken and as clubs spend massive sums in both the summer and winter. According to Le Parisien newspaper, the reform has been dubbed Fair Play 2.0, but they also claim that this cap is susceptible to modification in future discussions. It has also been reported that UEFA are eager to implement this new system as soon as possible and are looking to do so for next season. UEFA want to put a €100 million spending cap on transfers above a club's income. Such a move would have a huge impact.